See what DNA tests are available, the pros and cons of DNA testing and which test might be right for you. Genetic genealogy tests are compared, including examples of the results received, and the tools that are available at the company websites for the analysis of those results. The pros and cons of each company’s test are described, and some third party websites for DNA analysis are demonstrated. Already taken an autosomal DNA test with one of the big companies? Not sure what to do next? There are five big things you need to do with your DNA test. This lecture will show you how to download your data, talk about the importance of posting your pedigree tree and other significant things you need to do to make the most of your DNA test. Shellee Morehead, PhD and Certified Genealogist, teaches biology and researches, writes, and lectures on family history with specialties in Rhode Island and DNA research. 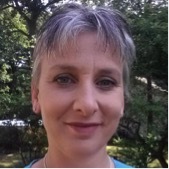 She is an associate of the Board for Certification of Genealogists (BCG) and a member of the Association of Professional Genealogists (APG) New England Chapter.